Join the VIP Waitlist & Be The First To Know When We Have More Foundr V1.0 Books In Stock! Start learning from the best entrepreneurs in the world today! The World's Best Startup Guide! Immediately have every question you've ever had about entrepreneurship answered! The World's Best Startup Guide is here! "All my friends want to read it after me!" From the greatest entrepreneurs in the world! • Unlock your true entrepreneurial potential! • Through every step of your entrepreneurial journey from harnessing lean startup, to building the perfect prototype, building your tribe just for starters. • Utilise the power of marketing from content, social media, influencers, and more! "I think it's a great investment, something that everyone needs, and it'll last a lifetime..."
"You know what I really love about this book? It's a constant surprise! You turn the page and you get a Foundr tip, you turn the page and you get a great case study, you turn the page again and there's some really great insights from people like Tony Robbins or Gary Vee..."
Actionable tips, strategies and advice from the best in the world! We take a look at entrepreneurs that have changed the world and put them under the microscope so you can achieve the same results! 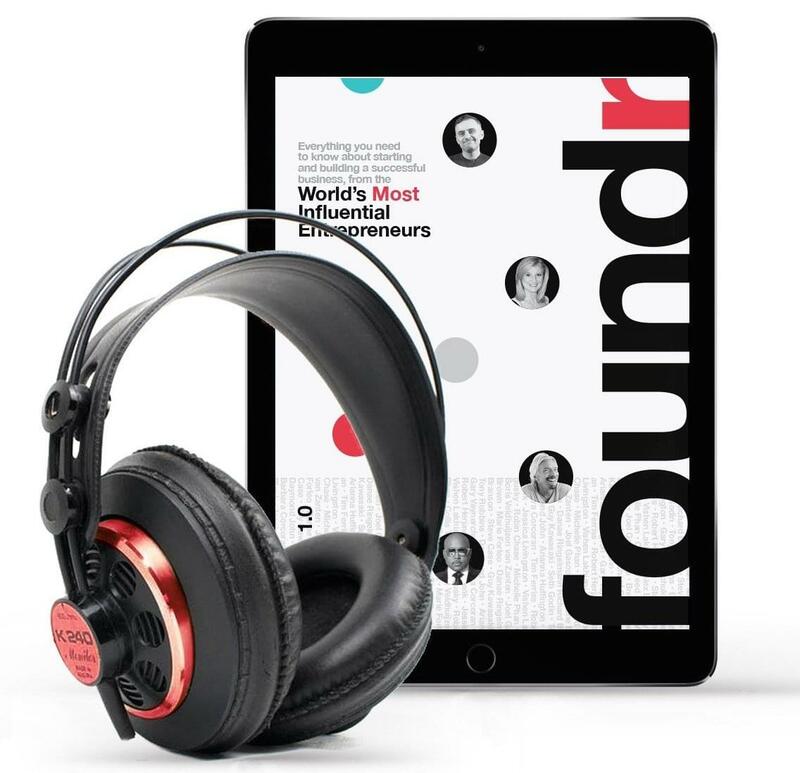 In the past four years, Foundr has interviewed hundreds of successful entrepreneurs in our magazine that have disrupted every industry possible from Food to Media to Meditation! For the entrepreneur on the go. Get exclusive access into the brains of the world's best entrepreneurs! For this week only, you can get your very own copy delivered straight to your door with FREE SHIPPING on us, to anywhere in the world. As the books are currently sold out, when will the books be available again? We are in the process of re-stocking the Foundr V1.0 coffee table books and making them available soon, no later than mid-October 2018. 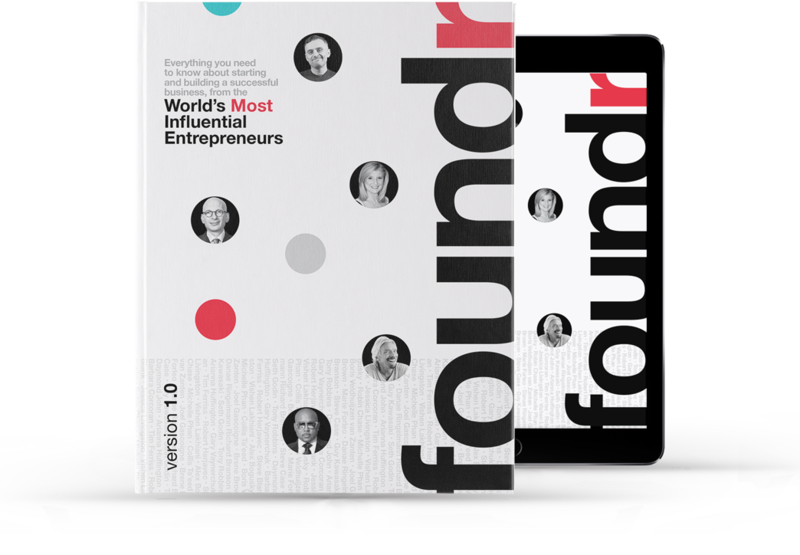 If you want to be kept in the loop and be amongst the first to know when the Foundr V1.0 books are available for purchase again, just go ahead and sign up to the VIP waitlist. 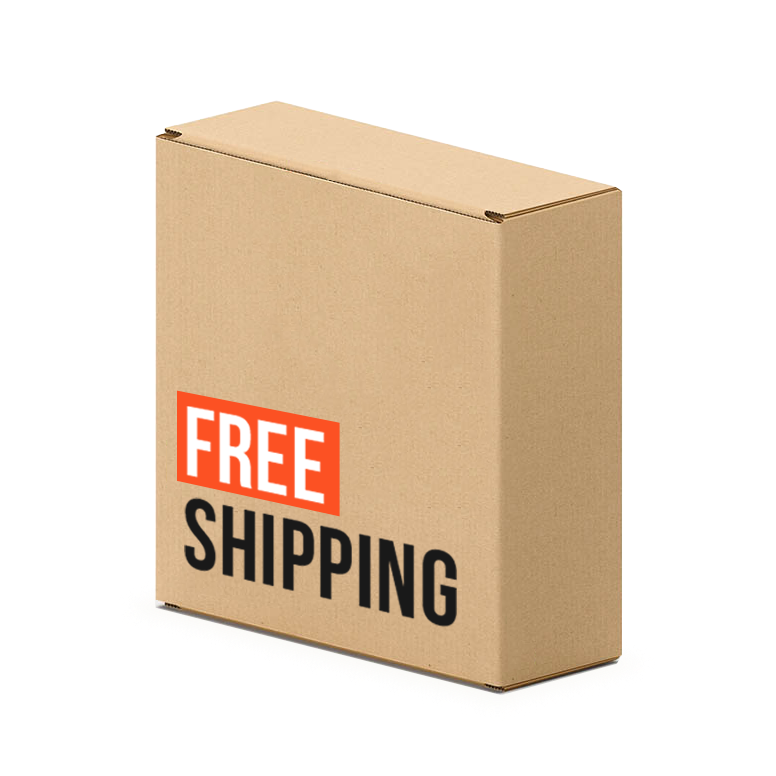 From the time you order to the time it gets to your door it takes around 6-10 days if you reside within the US, and 1-3 weeks for all international deliveries. If you can’t wait though you can always download the digital version immediately right here. In the highly unlikely, if not downright impossible, event that you don’t enjoy our book. Then all you have to do is rip out the first page and mail it directly to us, and we’ll refund you your money no questions asked. Can I order multiple books and send them to different locations? Sorry, but unfortunately that’s not possible for the time-being. All books must be sent to a single shipping address. What makes this different from any other book out there? Of course you can! We’re more than happy to do custom orders if you’d like. All you have to do is email us at [email protected] and write “Wholesale order” in the subject line. Please note that we require a minimum of 20 copies to accept a wholesale order. I have not received my book. What should I do? Sorry if there’s a delay! If you still haven’t received your book please email us at [email protected] along with your tracking number and we’ll take care of it. Unfortunately, there are some countries where there might be some delays due to their individual shipping laws. However, rest assured we’ll do everything we can to get you your copy of Foundr Version 1.0 as soon as possible!